Does Windows Really Matter Anymore? With the release of Windows 7, it’s certainly easy to get excited with wanting to get your hands on it, check it out, and play around with it. Just like you would on Christmas morning I suppose. But I’m wondering, and noticing, what are people’s habits – what are my habits – when I turn on my computer? Let me ask you this – what is one of the first things you do when you turn your computer on? Or another way to ask this is, why do you sit down to turn your computer on? What are you intending to do once your computer boots up? For me, the very first thing – and a lot of times the only thing – I do is get on my computer and instantly go the web. In fact, I find myself clicking my Firefox or Chrome browser shortcuts before the computer is even fully booted. Am I alone here with this? I can’t imagine I am… and because of this, I can’t help but wonder if an operating system – Windows 7, XP, or whatever – is losing it’s relevance and role in the world of computing. And if you take this thought just a little bit further, then I ask if the PC – or the computer – as we know actually dying? I mean, it doesn’t seem too far fetched that within a few short years from now we have computers that boot directly to the web. 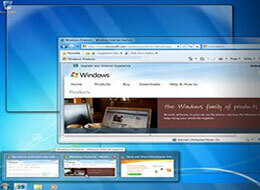 For example, Google’s Chrome OS which should be out within the next year, is said to be a web based browser. Turn your computer on and you’re online, along with everything you need from an operating system. 2) Why do you get on your computer in the first place? What are you intentions once the computer boots up? For me, the answer to both questions is simple – I want to get online!